While stowing product, Ghi Nguyen, a deckhand, somehow injured himself. On March 13 Nguyen filed suit under the Jones Act against Trans Express and Ba Tran in Jefferson County District Court, seeking to recover more than $200,000 in damages. According to the lawsuit, on Jan. 1, 2013, while acting as a deckhand on the Trans Express, Nguyen was injured while stowing product. The suit does not state how exactly he was injured but does accuse the defendants of negligently failing to provide a competent crew and seaworthy vessel. Nguyen is seeking damages in amount “exceeding $200,000 but not more than $1,000,000,” the suit states. He is suing for his past and future lost wages, medical expenses and mental anguish. 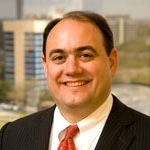 Houston attorney Richard Plezia represents him.